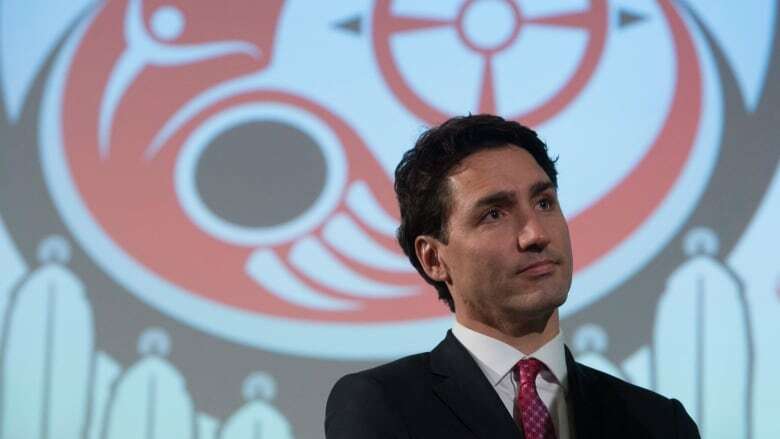 Prime Minister Justin Trudeau narrowly avoided an organized walkout during his speech to Indigenous leaders Tuesday after Natural Resources Minister Jim Carr called chiefs to apologize for remarks some saw as a threat to protesters opposed to contentious pipeline projects. 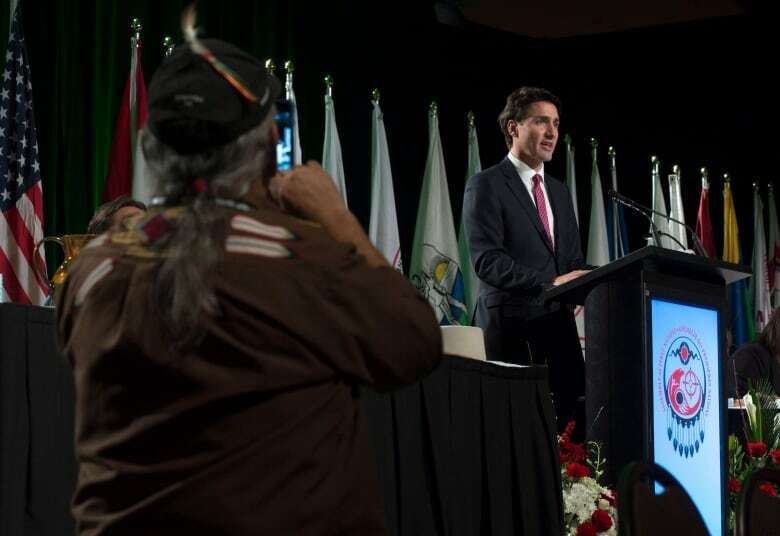 Quebec Chief Serge Simon, a Mohawk from Oka and a strident opponent of pipeline projects, had been assembling a group of chiefs to take a stand and turn their backs on Trudeau at the Assembly of First Nations gathering in Gatineau, Que. Simon and others, including Ontario Regional Chief Isadore Day, have said Carr's comments about "defence forces" and police sent alarm bells ringing throughout First Nations communities, and were irresponsible because of the historical significance of invoking the military as a bulwark against Indigenous protests. Simon, who was part of the 1990 Oka standoff, backed off after he got a call from Carr an hour before the prime minister was set to take the stage. Carr further explained what he meant by his remarks, and said he did not intend to issue any sort of threat against peaceful protest, the chief told CBC News. "It actually felt good to hear that he realized he made a mistake," Simon said of Carr's call. "That shows I think, in my book, strength of character that he did that. The tension has been removed." Trudeau also veered from his prepared remarks Tuesday to endorse Carr's apology, adding that his cabinet minister made "unfortunate comments." Clearly prepared for the opposition voices, the prime minister said his government's push for reconciliation "does not mean that we ... will agree on everything," while acknowledging there were many in the room who "deeply disagree" with the green light his cabinet gave to Kinder Morgan's Trans Mountain pipeline. "The test of our relationship is not whether we'll always agree. The test of our relationship is whether we can still move forward, together," he said. "We've already felt some headwinds. And there will be more." Trudeau also touted accomplishments made during his first year in office, and said his government has begun a "new walk together" with Indigenous people. He rhymed off what his $8.4-billion budget pledge has already done for First Nations communities. He said the government's $2.6-billion cash injection to First Nations education has constructed six new schools, creating new learning spaces for some 2,000 students, with a further 31 under construction and more than 100 in the planning pipeline. Trudeau also announced that he would support one of National Chief Perry Bellegarde's main requests: the creation of an Indigenous languages commissioner. New legislation will be enacted to support, and revitalize, Indigenous languages, many of which have few native speakers still alive after generations were forcibly schooled in English or French. "We know all too well how residential schools and other decisions by governments were used as a deliberate tool to eliminate Indigenous languages and cultures. If we are to truly advance reconciliation, we must undo the lasting damage that resulted," he said to a standing ovation. Earlier Tuesday, Bellegarde said Indigenous languages should no longer "live in the shadows," and should be afforded the same respect as the country's two official languages. "We don't want to see anything disappear, that's not going to be allowed to happen. That cannot happen," the chief said. Trudeau also praised Gord Downie, lead singer of The Tragically Hip, for his work to promote reconciliation between non-Indigenous and Indigenous peoples. Downie was honoured by the assembly Tuesday, and given an Indigenous spirit name, which can be roughly translated as "Man who walks among the stars." While many of Canada's First Nations are gripped by poverty, suicide and a funding crunch, Bellegarde sounded a positive message in his own address to the assembly, calling on Indigenous communities to move beyond the "doom and gloom." Bellegarde opened his organization's three-day special assembly with a plea to disillusioned communities to resist hopelessness, and seize the historic opportunity the Liberal government has afforded First Nations communities with its new spending. "I say that in spite of the genocide from the residential school system, in spite of the colonization and control of the Indian Act and everything else we have endured as Indigenous Peoples, we are still here, we are getting stronger and we are getting louder," he said. Notwithstanding his organization's relative satisfaction with the Trudeau government, Bellegarde chided them for dragging their heels on launching the inquiry into missing and murdered Indigenous women. The prime minister launched the process last year, and has appointed five commissioners, but work has yet to begin. "Hundreds of people have been waiting for years for this inquiry to begin. They should not have to wait any longer," he said, adding First Nations people do not want recommendations in two year's time to address the prevalence of violence against Indigenous women. Trudeau said his government has "begun to get justice for sisters and daughters" across the country. "Let me tell you one thing, to put it bluntly, this issue has always been and will always be on my radar," he said. Bellegarde also acknowledged mounting tensions among First Nations over pipeline development, with some chiefs diametrically opposed to oilsands extraction with others welcoming construction of new projects to help stimulate economic development. "The most important of our rights is that of self-determination, and that means the right to say yes and the right to say no," he said, continuing his delicate dance of trying to support chiefs on either side of the pipeline divide. He told CBC News ahead of the assembly that some chiefs are afraid to speak out in support of pipeline development because they've been stigmatized by some protesters. Chief Robert Chamberlin, the vice-president of the Union of B.C. Indian Chiefs said it is an "open secret" Bellegarde is a strong proponent of further development. Calling him "Pipeline Perry," Chamberlin accused Bellegarde of using government talking points on natural resources development and not properly representing voices of dissent. "They are throwing shiny nickels and dimes at us rather than providing us with a proper place at the table," Chamberlin said, referencing the mutual benefit agreements Kinder Morgan has signed with the 39 B.C. First Nations supportive of the pipeline's construction. Bellegarde also signalled that the AFN will ask Finance Minister Bill Morneau to keep a Liberal campaign pledge to better fund the post-secondary student support program, which helps First Nations and Inuit students attend universities and college. During the 2015 election, $50 million was promised, but it was left off the books in April. The federal program has registered an 18.3 per cent decline in the number of students it funds since 1997, despite surging population growth in that period.